This is an amazing wealth of information that could be an iBook! Good news – it costs much less! This app is loaded with quality graphics, narration and lots of interactivity! Topics covered are numerous, including the causes of earthquakes, the relationship between earthquakes and fault searthquake waves, seismometers and earthquake detecting and locating the source of an earthquake, measuring the size of earthquakes, earthquake damage and large historical quakes, tsunamis, firestorms, landslides, and liquefaction, earthquake prediction, plus an in-depth discussion of the relationship between earthquakes and plate tectonics. 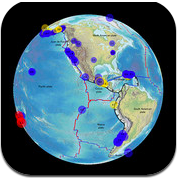 Written by respected professors and Earth science authors Ed Tarbuck and Fred Lutgens and illustrated by Dennis Tasa, this app will be of interest to anyone who wants to learn about earthquakes. For schools, this interactive app can be used as an in-class tool or for independent study. This app is presented to us by Tasa Graphic Arts, Inc. Example of Final Test – If I showed you the answers it wouldn’t be fun! Earthquakes East of The Rockies! An interactive chart showing earthquakes around the world with dates and destructiveness! Focus on Earthquakes – Tasa Graphic Arts, Inc.
What was the initial inspiration for Focus on Earthquakes? Several major earthquakes have been in the news recently. The devastation in Haiti and one of the largest earthquakes on record in Japan and the subsequent tsunami underscores the threat of earthquakes worldwide. The relationship between earthquakes and plate tectonics has been a subject of our other software which has been very popular in schools. Because many people do not fully understand the causes of earthquakes, we thought we could bring our knowledge to a larger audience with an iPad app. 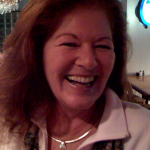 Our app integrates written content with photos, narrated animations, and review quizzes. Our “earthquake tracker” feature is a major component of our app. It allows users to make a connection between current earthquake locations and plate tectonics by providing the plate tectonic boundaries on a physiographic map that shows worldwide geologic features.